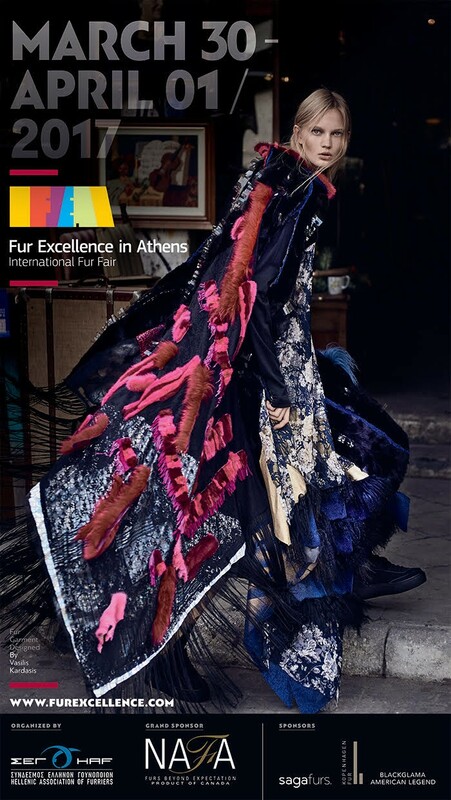 Hellenic Association of Furriers’ advisory associate prof. Vasilis Kardasis, has been inspired by the Holy Bible and the fur technique of sewing pieces together to create a pletter, that is <kommatiasta>. he came up with the idea of using the well known but quite forgotten fur technique of sawing pieces together to create a pletter, that is <kommatiasta>, in a totally new way. A creator, maker, artist, musician…is guided by a light, the emotional truth. The history of Kastoria is based on “Komatiasta” Pieces of fur, carefully assembled, sewn together and constructed into a Plater. We have all survived from this method of using fur ‘waste’ or for another word, ‘leftovers’. The not-so valuable pieces of animal skins. In fact,all Kastoria became rich from this practice. The years came when fur was more than pieces. After all, we have a beautiful fur skin. Let us start from there ! Why on earth should we be concerned with ‘waste pieces’ Ugh !! Markets flourished. And our brains forgot the “soup” that had kept us alive so many years. Our tummies were yearning for “steak”!! Quite rightly….! But, that humble plate of back legs, necks, armpits…etc sat there like a forlorn child, and wondered why none of us was loving it any more. And for a very long time, it became the unwanted child.! I have taken from various workshops, discarded excess and bits of all types of fur, woven, printed materials, leather, trimmings, zips, plastics..including plastic bags..and carefully made the fabric. Just like the platter is made. Each piece is carefully considered in its relationship with the next piece. I worked on constructing and building a ‘tapestry’..from all the waste in the bag. The fur, pieces of left over plates, other fur discards, are part of the whole picture. I want to create a new language for fur. One that resembles the language of textiles. Fur is a textile..like any other material..and more so, it is the most natural, original and lasting ‘textile of all. And after all, the word ‘Textile’ is derived from the Latin, ‘Textire’ meaning ‘to tell a story’ ! So, I am telling stories of history! My guiding light, the emotional truth, illuminated my path. The result is simple. A structure of four pictorial panels, linked with an honest creative freedom. When put together, there is no front, no back, any way the wearer carries it on the body, is the right way! There are slits placed strategically for the arms to pass through. Many ! It is in fact, a cornucopia of sensations, emotions, humble values and the truth. It is made with love and skills. It is a new ‘dialect’ of fur. It speaks of clear, simple respect for the ‘waste’. It is a provocation to the design mind and hand, forcing both to learn this dialect, and without shame, nurture its growth.